This crazy weather confuses me. One minute it's cool enough to bake, the next day too hot for anything but salads. 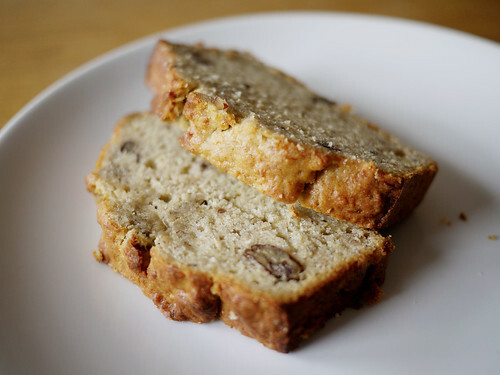 M. made banana bread over the weekend, a lovely dense banana bread perfect for an afternoon munch.